MfDR implementation programs face some difficulties due to a lack of experience in some countries within the region. Therefore it is necessary to promote activities to share and exchange experiences, best practices and lessons learned implementing programs. 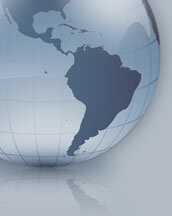 In 2006, PRODEV’s Technical Cooperation’s Network held its First Regional Meeting in Uruguay. The Network includes PRODEV’s Technical Cooperation Coordinators at the national level and their counterparts within the Bank specialists. The Network’s main goal is to promote experience sharing and constructive discussions through PRODEV’s executions programs’ best practices within the Region. PRODEV’s Executors Network is a closed group. It is headed by one President and three Vice-Presidents.